Made with 2-4 skeins (depending on size) of Schoeller & Stahl Scooter (64% cotton, 27% viscose, 9% nylon, 50 g/ 85m) or yarn that knits to a 16 sts = 10 m stitch gauge, using 24" (60cm), 5 mm circular needles. 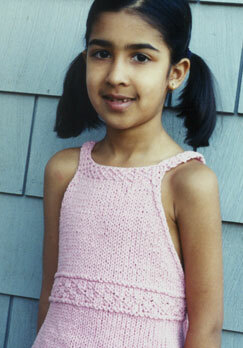 This pattern was originally published in the 2006 Knitting Pattern-a-Day Calendar. You can email me to buy this pattern. Be sure to reference the name of the pattern in the subject line.